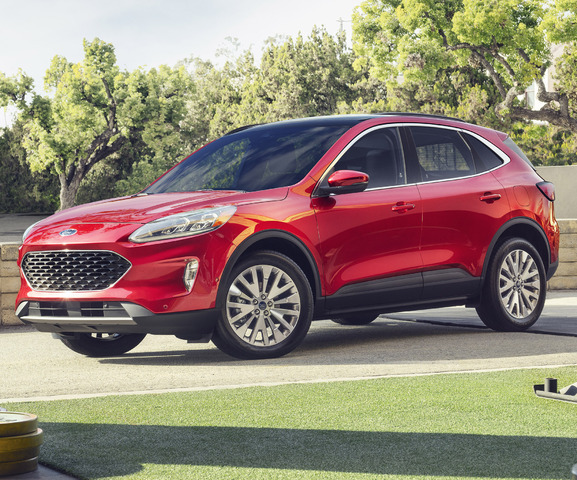 The new 2020 Ford Escape looks nothing like that. It looks like a big hatch on stilts, because it’s basically a Focus with a little of offroader thrown in. 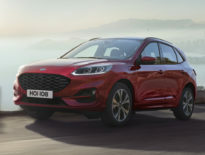 And that’s exactly Ford’s plan, by making the new Escape very soft and very car like, it now has room for a second crossover that’s around the same size, but much more rugged looking: the 2021 Baby Bronco. 1.5L 3-cylinder turbo with 180hp (134kW) and 177 lb-ft (240Nm), standard on the S, SE and SEL. 2L 4-cylinder turbo with 250hp (186kW) and 275 lb-ft (373Nm), standard on the Titanium. 2.5L 4-cylinder hybrid with a total of 198hp (148kW), optional on SE Sport and Titanium. 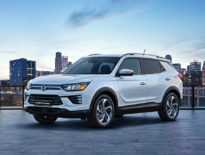 Plug-in hybrid with 30mi (48km) EV range, optional on SE, SEL and Titanium (coming spring 2020). Available features include adaptive cruise control, a 12.3″ digital instrumentation cluster, 575W 10 speaker B&O sound system, 6″ heads up display, and 8″ Sync 3 infotainment touchscreen.